If you couldn’t until the sun came up, many Pokémon fans watched a handful of new characters be revealed. A trailer was released debuting many creatures for Pokémon Sun and Moon. 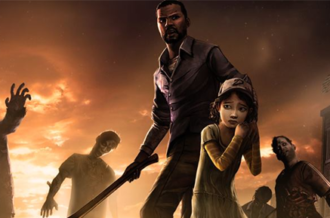 Most of them appear as if they will be some of the first kinds you encounter, while others look to hold a more promising position on the team. The trailer starts out with the older man (previously seen) sending out Tapu Koko, a Pokémon seemingly fit to be a legendary, or at least serve a major role. 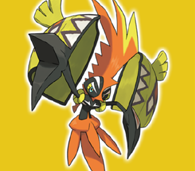 The official Pokémon website calls it a guardian deity of Melemele Island. It hides in a tribal shell-like covering before bursting out to reveal itself which it does so for special reasons. Based on the footage, it appears this Pokémon uses a new aura ability called Electric Surge to cover the field in electricity. 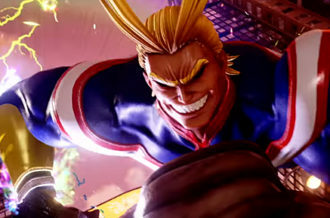 A new attack has been added to its arsenal called Nature’s Madness which will always reduce an opponent’s health by half, much like Super Fang. It is an Electric/Fairy-type making it only one of two with this combination. We expect to see a lot more from Tapu Koko in the near future. Next up are what we assume to be the evolved forms of Grubbin. 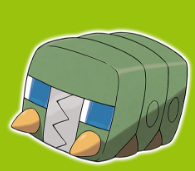 It first turns into Charjabug, a Bug/Electric-type as we previously guessed. It resembles a little subway train mixed with an electrical plug. 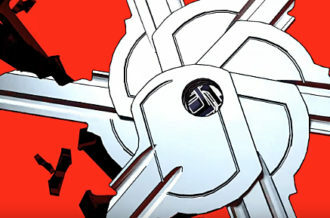 Footage shows it attacking with very surprising speed. It gains a new ability called Battery which gives its allies a boost in power. This Pokémon evolves once more into Vikavolt. 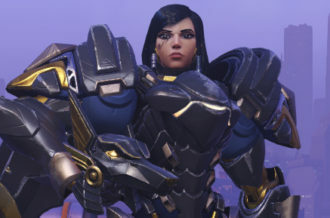 It is also Bug/Electric and looks similar to an armored beetle. 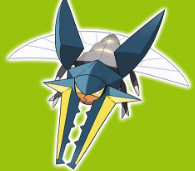 Vikavolt has prongs in front of its face which really gives opponents a shock. Having the Levitate ability mixed with high speed will make it hard to hit. Drampa is the next Pokémon we see. It appears to be based on illustrations and interpretations of Chinese dragons. 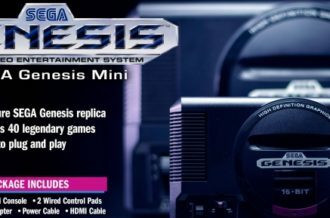 It does retain some features such as the slender face, wisps of hair, and long neck. It is a Normal/Dragon-type which is a first for the series. At first glance it appears a bit sluggish and harmless but once it’s damaged, it increases some stats and unleashes a powerful attack. It has a new ability called Frenzy which boosts Special Attack when its health drops below half. 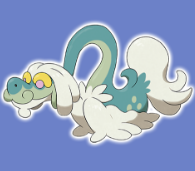 Drampa is unlikely to be the “legendary” Dragon-type of the game but does have a keen connection with humans, often playing with children. Fans of The NeverEnding Story might enjoy this Pokémon even more. 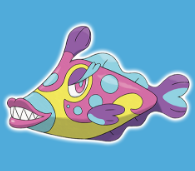 Bruxish is an odd-looking Pokémon. This fish is Water/Psychic-type, a combination not seen in years! It has a flower-like lure on its head which leads us to believe it is a type of angler fish. Though its bright markings may give it away as it ambushes, unless it blends in perfectly around coral reefs. It has the Dazzling ability which allows it to attack before an opponent’s priority move. This falls in line with its description of being able to detect Pokémon along the seafloor. We aren’t sure yet if it’s an aggressive Pokémon but does have some resemblance to Basculin from the Unova region. 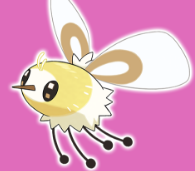 One more little bug for this generation is Cutiefly. It is a Bug/Fairy-type and while the name isn’t very creative it does make a lot of sense. It has adorable eyes, a fluffy body, and appears to fly around quite quickly. These are modeled after bee flies which are part of the Bombyliidae family of insects. It is one of the tiniest Pokémon to be discovered but hasn’t yet shown off its true potential. It will have the Honey Gather or Shield Dust abilities. There are more updates to come, so hopefully this cutie will receive an evolution. The final Pokémon of the trailer is Togedemaru. 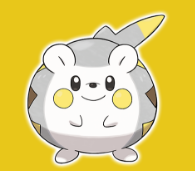 This is an Electric/Steel-type and comes as this generation’s electric rodent Pokémon. It has the same cheeks as Pikachu, Pachirisu, and others. Its Steel-typing will allow it to have more defensive maneuvers than its predecessors and even shows off some spiky quills which will definitely come in handy. 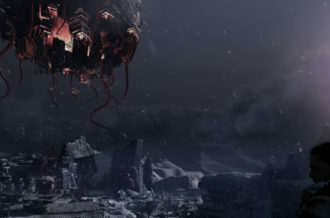 They have either the Lightning Rod or Iron Barbs abilities, both of which a useful in the heat of battle. There is still so much more to learn about these new Pokémon and we’ll be sure to update you soon. Until then, take a look at of the previously mentioned Pokémon in the latest trailer below.